Based on the guidance and input of hundreds of members, Alpha Sigma Tau’s National Council developed the following strategic initiatives for the next 2-3 years. Our members want the Alpha Sigma Tau experience to continue beyond college, and they view their involvement as a lifelong commitment. Through increased opportunities for engagement, members will strengthen their connections to the National Organization, with each other, and with the generations of Sisters who follow in their footsteps. Facilitate mutually beneficial connections between alumnae members and the organization in convenient and flexible ways. Communicate the value and priority of the alumna experience to members. Over the past several years, Alpha Sigma Tau has seen a record increase in collegiate membership. This is, of course, not just happenstance, but part of a deliberate strategy for growth that has been implemented over time. Our members are excited and motivated by this tremendous growth, and want to see a clear vision for it to continue. 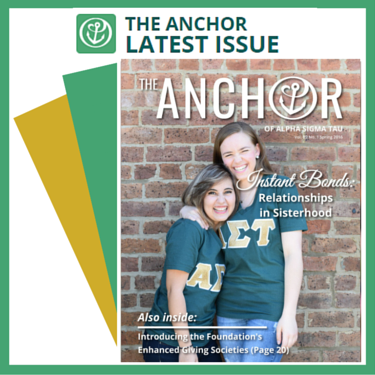 Develop intentional growth plans for collegiate chapters. Develop an intentional growth plan for the National Organization as it relates to extension. Our recent Marketing & Communications Survey gave us overwhelming insight into what our members see as valuable communications that enrich the Sisterhood experience. They see value in brand consistency that reiterates shared member experiences, provides collegiate chapters with improved on-campus visibility, and drives member recruitment. Members also see Sorority communications as a way to engage each other and the National Organization. 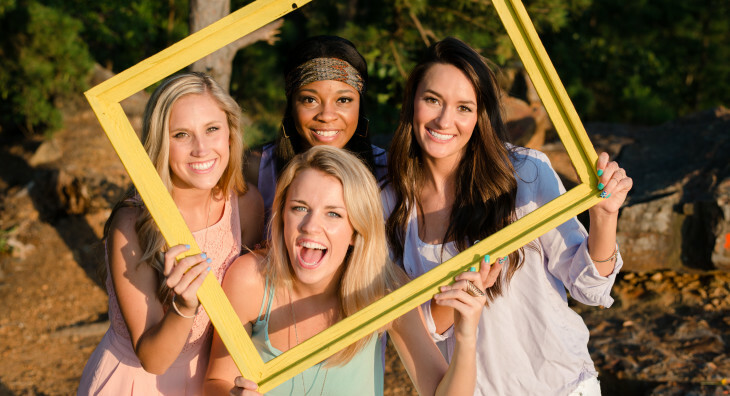 Establish a cohesive Sorority-wide brand identity. Create consistency in communications for all members and chapters through the use of shared messaging, graphics, materials, technologies, and resources. Establish a comprehensive social media presence that, on a continuous basis, engages members with the organization and each other. Increase the use of online and mobile technologies to share information and connect members. We have also recently conducted a Membership Experience Survey. This survey showed that our members want a philanthropic partner that is relevant to women today, accessible to our members, and creates a sense of pride. Our members strongly agree that there should be mission alignment between Alpha Sigma Tau and our philanthropic partner, and that the partnership should be an integral part of the Sorority’s brand. Identify and adopt an approach toward service and philanthropy that aligns with the Sorority’s mission, vision, and values.